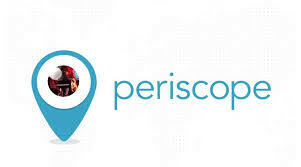 Good Reasons to Use Periscope for Your Business. Periscope could be game-changer for how news is reported. From a protester capturing the action as it happens in Ukraine, to live streaming the moment Prince William and Kate step out with Princess Charlotte, anyone can instantly broadcast breaking news. Why shouldn’t those eyes be yours? Contact us at info@whatifwhatnext.com or 416-568-5254 to bring Periscope to your business.